Despite the relative wealth and strong tourism history over the past decade in Chile, the country took longer to build up a stable of world-class luxury hotels than some of its neighbors in South America. The routine group adventure tours are giving way to more upscale individual leisure trips, however, and the number of true five-star hotels in Chile has roughly doubled in the past few years. The skinny country between the Pacific and the Andes Mountains range is no longer behind its neighbors when it comes to either luxury hotel choices or custom upscale adventure tours that are above the norm. Most of the best hotels in Chile are independent, home-grown affairs, with the Explora chain and Tierra Hotels mostly joined by one-off projects with a strong sense of place. The first W hotel in South America opened in Santiago though and the capital is also home to the only Ritz-Carlton on the continent. Many companies now offer well-run luxury tours and private itineraries and the luxury Torres del Paine hotels run their own excursions there and in Atacama. Wine tours and Chile skiing are a big draw in the central region from the capital and Valparaiso. We will continue to add notable new hotels and luxury Chilean adventure resorts in the future and keep our readers up to date with first-person looks at the top new lodges at wineries or in the Andes Mountains. With Chile's open attitude to foreign investment and free trade, plus a rising number of high-end tourists, we expect your luxury travel choices to keep getting better and the quality of service to keep improving in the coming years. 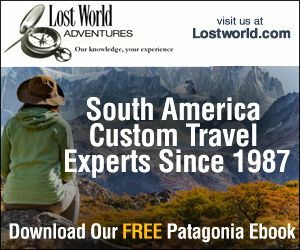 Whether you're looking for the best hotels in Santiago Chile, the most luxurious Torres del Paine hotels, or top resorts in Atacama or the wine regions, we'll give you detailed, unbiased reviews.